Massive weapons like this Japanese Naginata with Dragon Sheath were favored by the samurai for their ability to create space on the battlefield. 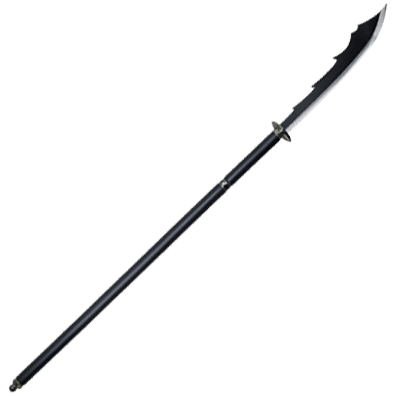 The naginata is the perfect weapon to use if you want to keep adversaries at a distance. 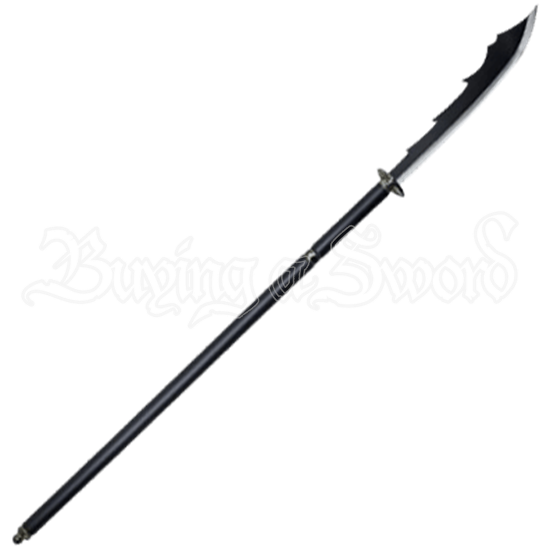 The unique black blade is made of stainless steel with a silver edge. Included with the weapon is a hardwood scabbard with a black finish and dragon etched into the wood. For a tactical look, the shaft is hardwood and finished with a black coating. Along the length of the shaft are three fittings, each adorned with a cherry blossom. The first acts as a pommel of the weapon. In the upper quarter of the shaft is another that can unscrew for the weapon to be used as a sword. The third is at the very top and secures the guard of the weapon. If you are looking for an imposing piece to add to your collection, you may find it in this Broad Head Naginata with Dragon Sheath.